To preface, the following is not in any way a complaint about my job. It is simply the beginnings of a personal examination of a gender role I have chosen to play in my professional life. When people ask me what I do, I say I am a secretary. I say I am a secretary because when people ask what I do, I know they’re asking what I do for money. And I also say I’m a secretary because I think it sounds more glamourous than saying I’m an administrative assistant, even though the two terms are more or less interchangeable. The point being, I am a secretary. I am a secretary in a small office in a large department in a much larger institution. And it’s a pretty great job, as far as jobs go–the pay is decent, the benefits are too, and my coworkers and managers are fantastic. In a world where I can’t sleep in until 10:00 every morning and collect a paycheque just for being lil’ ol’ me (a post-recession world where Canada continues to shed jobs like it’s going out of style and most job growth is in the part-time, temporary sector), a job like mine is highly prized. To make a long story short, I like my job. I’m beginning to wonder if being a secretary is just a teensy weensy bit gendered. I’m also wondering whether or not this matters at all. To start with, of course being a secretary is gendered. Even if I didn’t know that administrative assistance is still a primarily female occupation, like nursing and childcare, I only need to look around the offices in my department to see that there are a LOT of women here. I currently work in a building that houses five administrative offices. Every single staff member here is a woman (including the managers, which makes sense considering they probably started as clerks or secretaries themselves). My office is fairly typical for my department and for most of the other departments that make up the institution. A trip to HR would reveal, as Mitt Romney infamously gaffed, “binders full of women.” So yes, in that this particular role is typically filled by women (whether intentionally or no), my occupation as a secretary is a gendered one. Which is totally okay. I am comfortable enough with my feminism to know that staying in a good job with decent pay and a respectful and friendly work environment is a smart choice at this point in my life, even if I’m not exactly tearing down the glass ceiling every day (and even if my undergraduate degree is completely unrelated to my work; I know many other degree holders who are faring much worse). I know that the various roles played by secretaries are stereotypically female ones (receptionist, event planner, filer, typist, note-taker, organizer, pacifier, assistant, etc. ), but these roles are necessary to fulfilling the duties outlined in my job description and I feel the roles are valued by my supervisors and manager. Still, at some point in every term of employment, it becomes clear what those “other additional tasks and duties consistent with the position” line in your job description is all about. It means that certain tasks will fall on your shoulders because there simply isn’t a different place to put them, and you’re there, and your job is to be helpful. I am particularly thinking about the times when I have been involved in food prep, food disposal, clearing tables, washing dishes, cleaning fridges, decorating, etc. while at work (and dressed in office attire, of course). None of these duties are spelled out in my job description, however, as an administrative assistant the umbrella covering everything one might do to “assist” their office or department is pretty large (of course, my coworkers and often managers do their fair share of this kind of work and more, wrapping gifts, stopping by the grocery store to pick up a cake for someone’s birthday, etc.). The assumption inherent in the very definition of being an administrative assistant is that your job is to make life smoother for your superiors, clients, and coworkers. In other words, an administrative assistant’s job is to assist the administration, regardless of what the job description for that particular position actually says. I am compensated quite fairly for this. And I really don’t mind. Because the employees in secretarial roles are overwhelmingly female, I worry that these “additional tasks and duties” are seen by many not as a natural extension of the role of assisting the administration a female employee works for, but as a natural extension of being female. Of COURSE we’re cleaning and decorating and preparing food and planning baby showers for coworkers, one might think, we’re WOMEN and we’re “good at that stuff”! Well, yes and no. We’re “good at that stuff” because we do it all the time, and for many of us, we do it all the time because we were raised that way, but it really has nothing to do with being male or female. I’ve met guys who can barely hold a broom, and I’ve also met guys who can clean a bathroom better than I can (and I’m pretty damn thorough so that’s saying something). It really comes down to what you’ve been taught. Western society is full of women who were taught to be acquiescent and obliging, self-sacrificing and silent. Western society is full of women who learned to anticipate the needs of others and to take care of those needs while ignoring their own. Western society is full of women who learned to make themselves invisible, as if the gleaming home and the well-fed children and the glass of scotch on the end table occurred by magic. This was fortunately not my experience growing up, but it is still the legacy I have inherited. As much as I enjoy my workplace and the security and comfort my secretarial job brings me, I worry that I might be contributing to this legacy in ways I did not intend. I mean, I don’t agree with the idea that a woman’s worth relies solely on her ability to facilitate the grander and more recognized work of others, but this is the only thing for which I have allowed myself to be paid in my professional life. In other words, I have let society, in the form of my employment, gauge my worth using exactly the kind of yardstick I have always claimed to despise. What’s more, I’m good at it, and I like being good at it. I take pride in my ability to talk down an upset client, or to anticipate a manager’s needs, or to maintain a cabinet of files just so. I love my “telephone voice” too. I have put on the role of secretary as if it were a costume in a play, and let me tell you, I wear the hell out of it. Am I wrong to do this? I honestly don’t know. It’s something I’ve started thinking about and something I will probably continue to think about as my life changes and I become a wife and eventually (hopefully) a mother. What roles do I want to play? How do I want to play them? And is what I am doing now negatively impacting my future ability to escape roles I don’t want? TC is no Don Draper, but the roles I take on within my family shouldn’t have to hinge on the fact that I picked a good man; they should be something I can come to with both eyes open. Fulfilling a traditionally female role is not a bad thing (this kind of work is tremendously important and has a lot more worth than society usually assigns it), but I don’t want to be expected to fulfill certain roles just because of my biology. 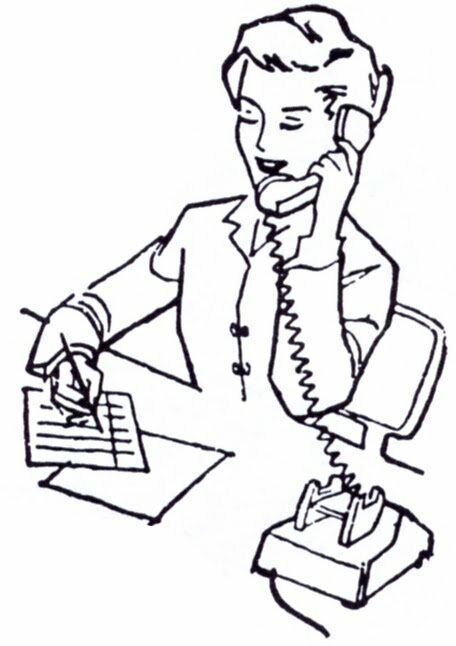 At any rate, I’d be interested to hear if other women working as administrative assistants have had similar experiences or concerns, or if they have found their roles to be gendered in more ways than just the fact that they are in a traditional female role (I hardly ever get comments on this blog but if you’d like to leave one, go for it!). You took the words right out of my mouth. I’ve actually been going through the same thought process (and also putting pressure on myself for not using my degree the way it was intended). It’s interesting that we ended up in these roles and I hate being in a “stereotypically female role” but it’s a decent job. Plus, there’s the whole moving up the ladder thing. I do have to keep reminding myself that my job is important and influential in my department and that better, more responsible roles will come in time if I want to move. Thanks for writing this! I’ve been know to tell people that I’m not my husband’s secretary (which kind of surprises them). I don’t mean it as an insult to secretaries, but to let them know (rather bluntly) that I don’t organize his work or social life. I guess I’m just really snarky, when it comes right down to it.